First hour of parking is FREE. After 1st hour, $1.00 per 30 minutes, or part thereof. Maximum $20.00 per 24 hour period. $15.00 per 24 hour period. 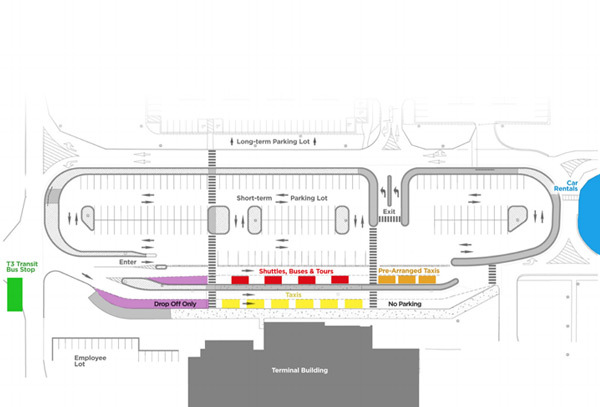 Following is a diagram of how the parking lot is configured.